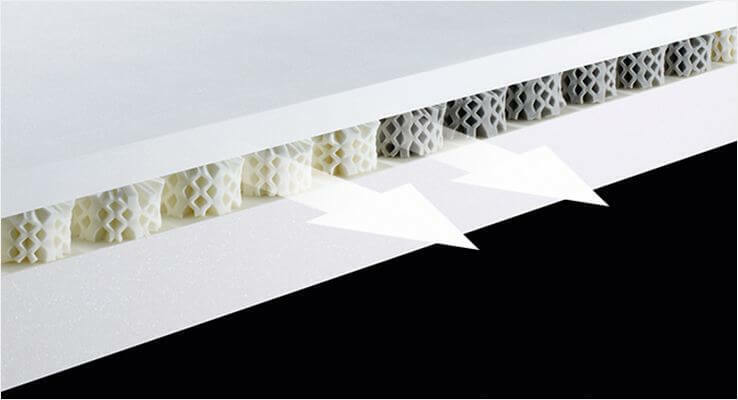 Experience Octaspring technology combined with the conventional feel of a 3 zoned layer of pocket springs. 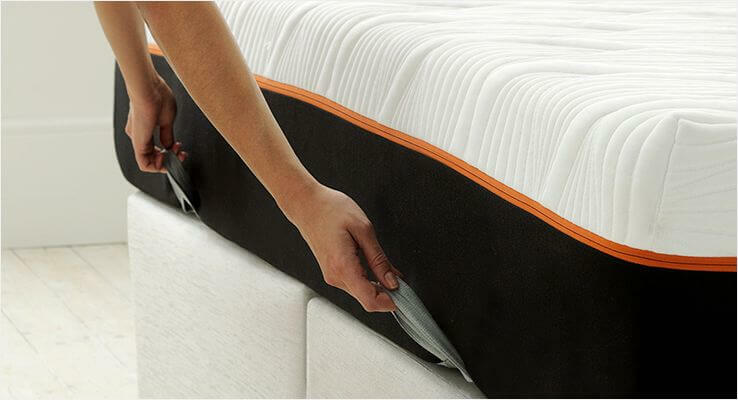 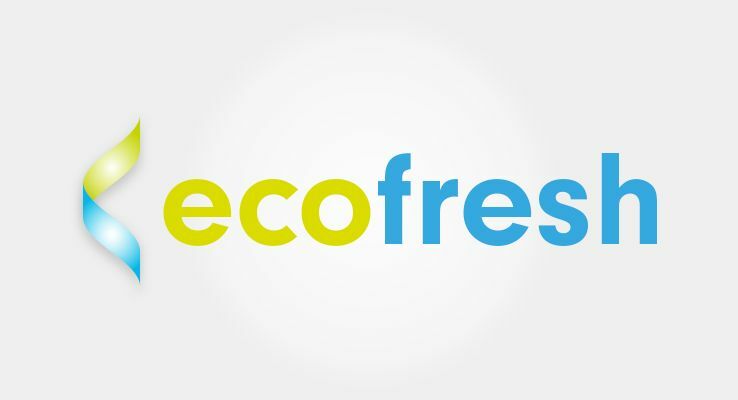 The new Octaspring® HYBRID™ mattress is a perfect way to experience unique Octaspring technology, combined with the conventional feel of pocket springs. 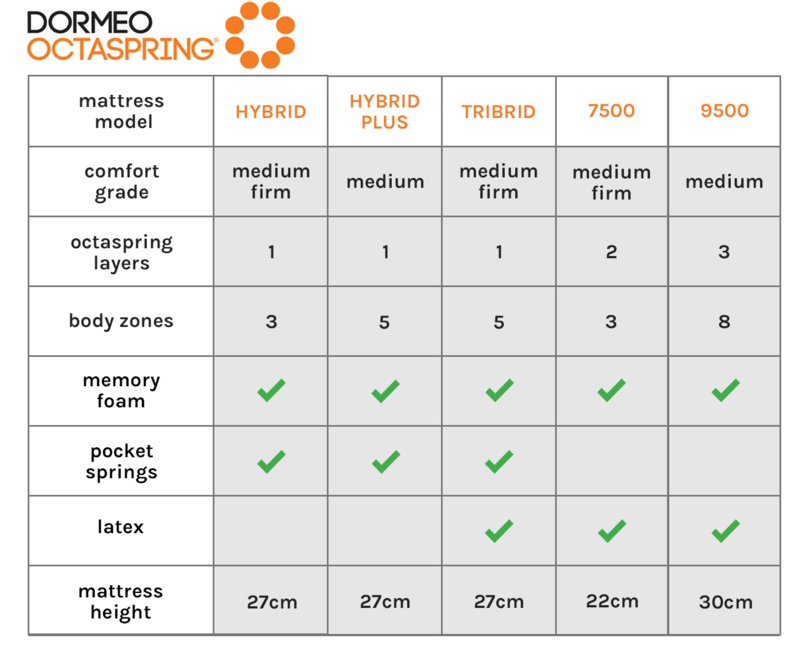 A perfect hybrid of modern and traditional - cradling comfort of breathable memory foam Octaspring® springs, with the even weight distribution and great support offered by a layer of traditional pocket springs - a really great feel with medium firm support - truly the best of both worlds. 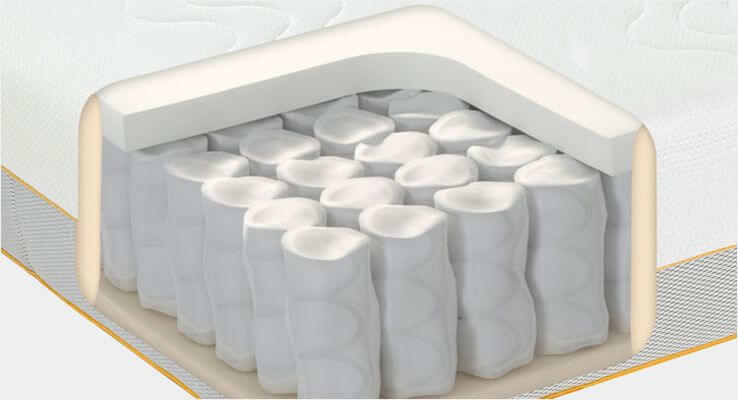 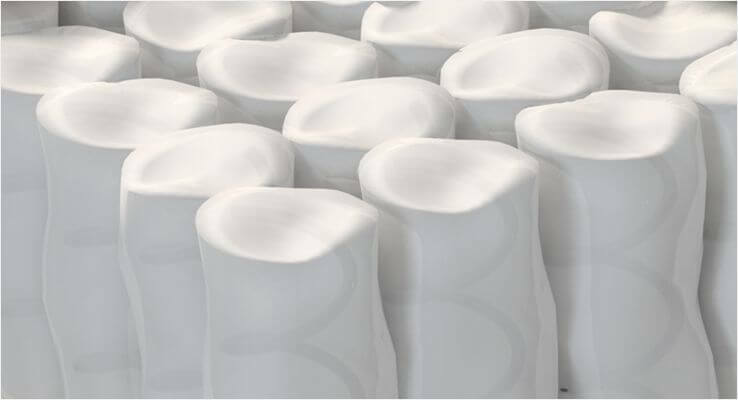 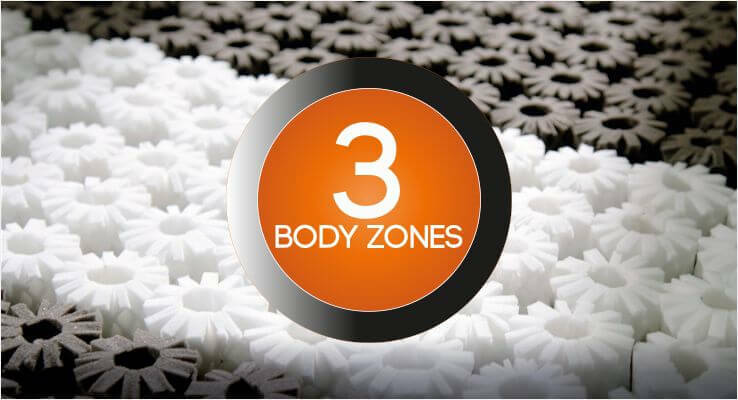 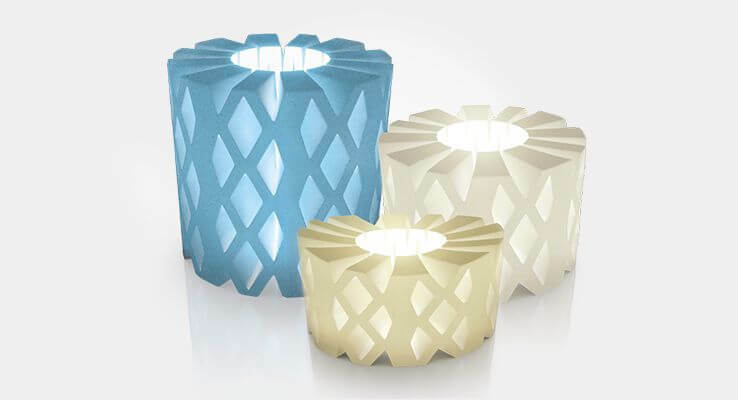 Experience the extraordinary ventilation of a unique Octaspring® memory foam springs topped with layer of luxurious memory foam ensuring you enjoy deep muscle relaxation and truly rejuvenating sleep. 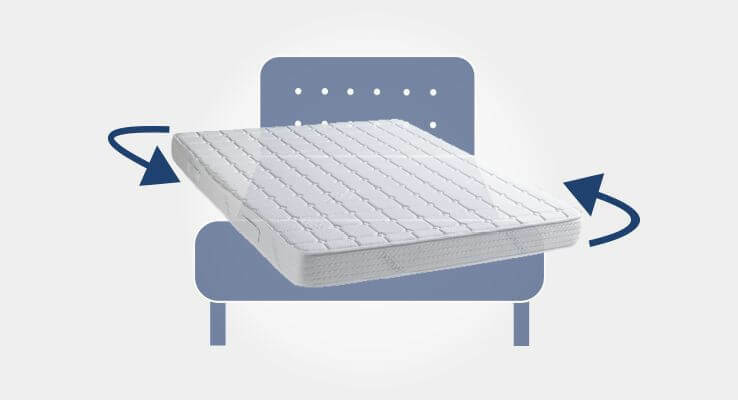 This Octaspring® layer rests on top of a 3 zone pocket spring foundation, offering even weight distribution and a truly unique sleeping experience, which cools, comforts and cradles the body for a healthy and restful sleep…Welcome to Octaspring – sleep reinvented.